The Fira de Girona Foundation was legally established in 1984 in the city of Girona. It is a not-for-profit official organisation with legal personality and full capacity to pursue its aims. Fira de Girona’s objectives are to promote and foster trade, industry and the services it is entrusted with, and to expand commercial exchange by creating and coordinating all types of exhibitions and trade fairs: general exhibitions, sector-specific fairs and shows and monographic exhibitions/trade fairs.  Today, Fira de Girona’s dynamism and drive proves that we are meeting our objectives; we currently host twenty trade fairs, most of them organised by Fira de Girona, and others in collaboration with our partners and external promoters, in addition to a wide range of varied activities run outside the trade fairs. It is safe to say that Fira de Girona is the ideal venue for your successful events. Girona City Council, Girona Chamber of Commerce, Girona Provincial Council and the Autonomous Government of Catalonia are the promoting corporations.